For today’s blog takeover I have the lovely Jess from Lovely Jubbly Blog talking about her top 5 essential makeup products for on holiday. Hope you enjoy the post! When it comes to Summer, I’m all about keeping the makeup simple, fuss free and sticking to the bare essentials. Seeing as though Lisa is off on her holidays, I thought I’d share my top 5 makeup products that I think are essentials on holiday! For base and face products, I like to go for either a foundation or CC/BB cream that provides coverage along with SPF. At the moment I am really enjoying this 123 perfect CC cream by Bourjois; it covers uneven skin tone and blemishes but is light on the skin and it also provides SPF15 protection. This is the best CC/BB type foundation I have found for oily skin as it doesn’t leave the skin feeling too wet or sticky and blends really nicely into the skin. I still like to powder, especially in the warmer weather so using a mattifying powder like this Maybelline Matte Maker pressed powder is essential for the tzone! To add a bit of colour into your face before you catch a bit of a tan, bronzer is essential. My favourite matte bronzer by far is this Solar Powder from Soap and Glory which is a duo tone, pale bronze shade ideal for contouring and giving a sunkissed look. 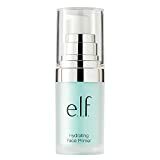 This is a great choice, especially if you have pale skin like me as it’s not orange in the slightest and so easy to apply and wear. Two essentials for any kind of holiday are definitely waterproof mascara and lip balm! Waterproof mascara is great for long lasting makeup application and minimal smudging – this waterproof maxi mascara by miners cosmetics is great for thickening lashes too. For lip balm, a spf is essential – these malibu lip care lipbalms are awesome as they contain spf30! What’s your essential for Summer?